A regular user of the site who regularly watches the ISS live stream sent us the following video which the user recorded from the live stream on May 5, 2015. 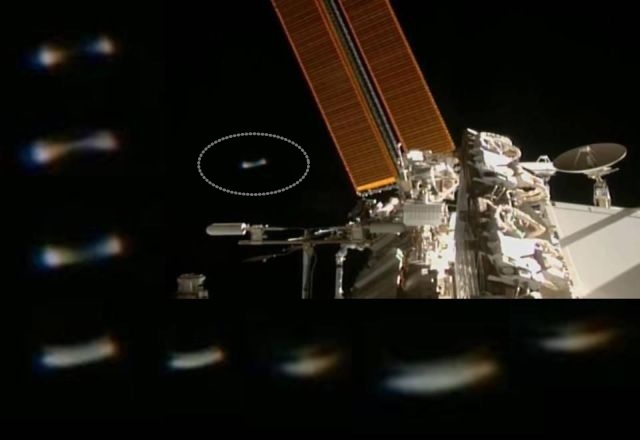 The video shows a UFO approaches the International Space Station (ISS). Then it seems as if the UFO turns around and disappears at high speed. Without doubt, the ISS astronauts have made clear images of the UFO, but as usually such images will not be shown to the public.